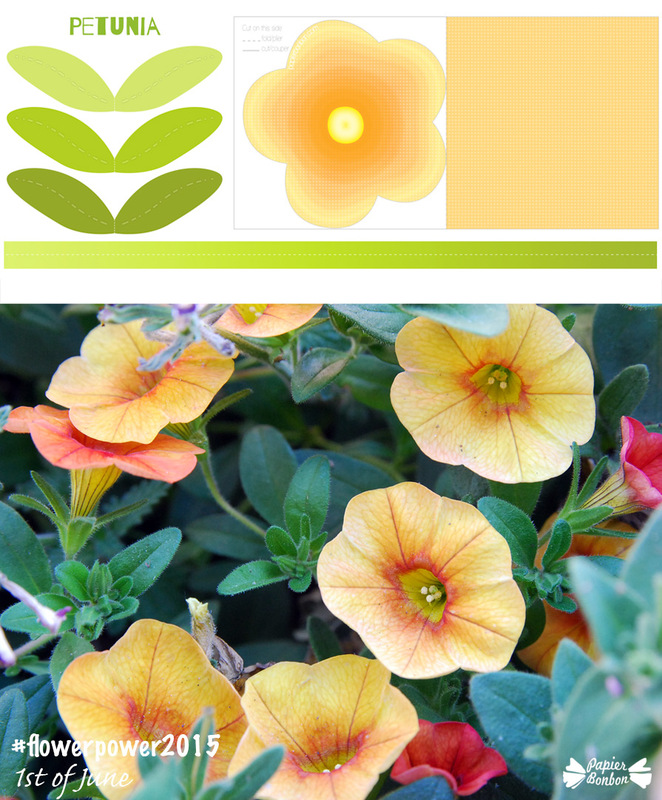 I didn’t have to look too far away for my new flower printable: I got new window box planters full of gorgeous petunia. 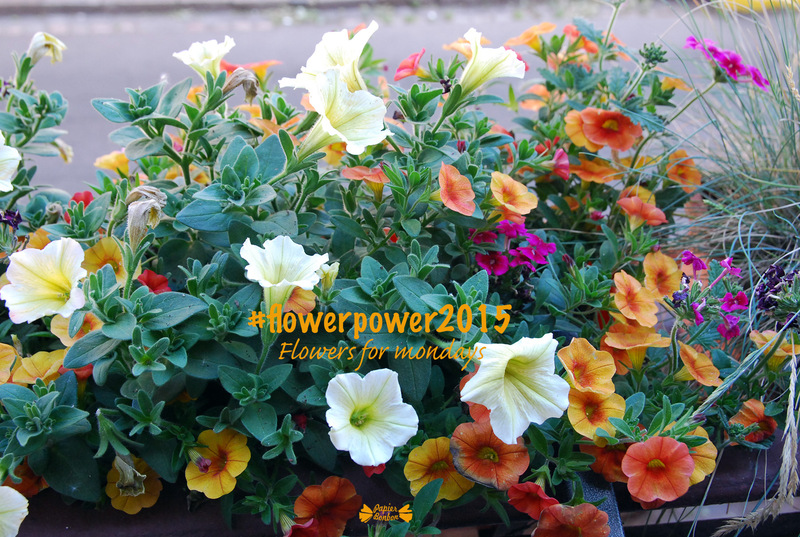 They precisely replaced the primrose I got inspiration from on this first blog post #flowerpower2015 (flower for mondays). I adore these new flowers. They form a wild bouquet and have a nice perfume in the morning. I changed the flower template again. The paper bouquet is getting larger. I will soon have to change the vase. A new idea to personalize your flower this week: glue a button in the center. Why not ? Any other ideas, please, share them ! 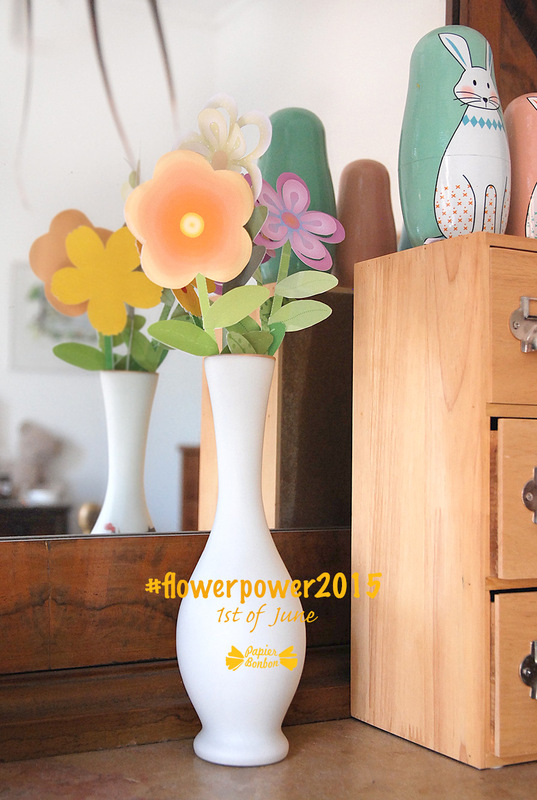 I may only post these flower printables on the coming weeks. I am a little busy and I’d like to take more time for PapierBonbon the shop. 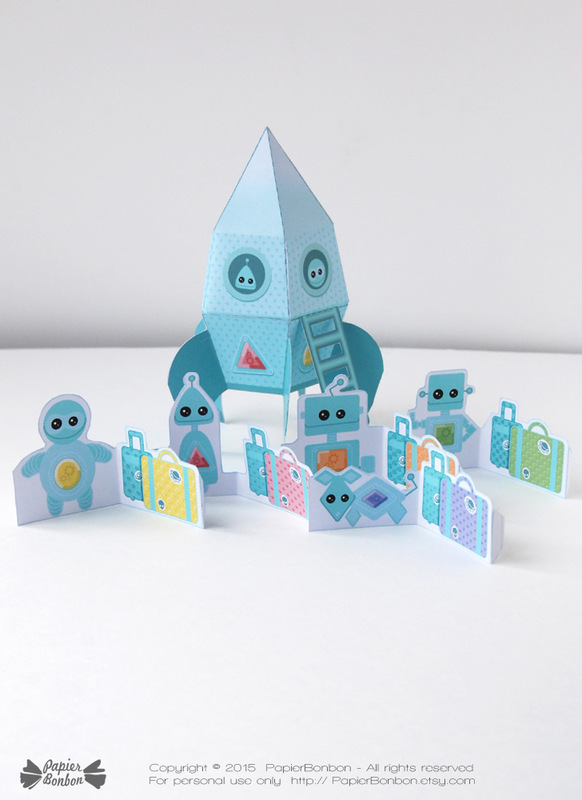 I created a lovely decoration set for parties with funny robots, a rocket and many personnalizable elements. And I haven’t even presented it properly. So I need to focus on precise projects. But it’s so nice spend time blogging and sharing things here. Anyway, have a nice monday and a beautiful week.